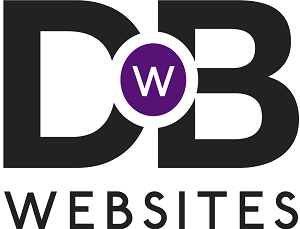 Facebook Advertising - Drive By Websites Ltd.
More than 1.4 billion people use Facebook to make connections with what matters to them. 900 million people visit every day. Over the last year, we’ve put Facebook advertising to the test on numerous occasions and have found it to be one of the best value for money advertising options available. You may have seen some of our adverts. We certainly got our money back and we would like to share how you too can run a successful advertising campaign. Unlike paper advertising, you can choose your audience by setting specific criteria such as location, age, gender, interests, job titles and search trends. In addition, many more advanced functions are available in the ‘advert manager’ to help make the most of this criteria such as the exclude options. For example, if we create an advert for business owners, we have to exclude any business owner in web design industry! Once you’re set up, you can run an advert for as little as £1.50 per day for as long as you would like. At that point you can be sure you money is being well spent as the advert only targets your perfect audience. Once this is done, adverts can be enabled at the click of a button, anytime. The training will demonstrate what you can get from your advert, covering subjects like lead generating, click to call, and page promotion. You can then follow how well the advert is performing and how your budget has been spent. To find out more about the full training, your first audience and ad campaign, call us on 01775 761512. To arrange training to anywhere in the UK, we have to tools to remotely display our demonstration screen on your computer. Using remote-conferencing software, we are able to provide training in a familiar setting. The tools are easy to use and we do most of the work for you. Once the connection is established, the training that follows is no different to the training we offer to clients in our office. To find out more about remote training, your first audience and ad campaign, call us on 01775 761512.